Hello, I'm Alex and I have just rejoined sparkpeople. Two years ago I started working out and maintaining a healthy lifestyle through weight watchers and a personal trainer in college and lost 20 lbs. However, during my last semester of college and a summer trip abroad (too much guinness!!!!) I gained everything back and am back to my original weight of 185. I am now trying to get back to eating healthy and living a healthy lifestyle. I joined the YMCA, and also have a new job starting next week. 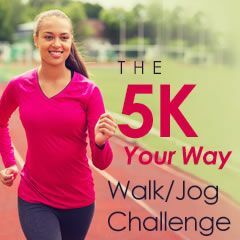 I am hoping to lose weight and compete in my first 5K in four/five weeks. I plan to use this site instead of weight watchers as way to save money, as my student loan payments have just started. Looking back, I feel as though I wasted a lot of money on the gym, personal trainers and diet programs only to have gained all the weight back again, but I try to remind myself that the skills I learned still come in handy. Today is the official first day of diet/weight loss and I feel great!